FX was really privileged to be able to share Barbet Schroeder’s Barfly as as part of Scalarama 2016. Arguably one of the finest films to come from the Cannon Group. Mickey Rourke is hypnotic in his portray of Charles Bukowski’s alter ego Henry Chinaski. Thanks so much to everyone that came out. I you couldn’t make it, we highly recommend tracking down a copy of this gem for your viewing pleasure. Big love to our projectionist and thanks to our hosts The Nottingham Writer’s Studio. Feeling pretty pooped and we didn’t make half the screenings Rodger did! That man is an excellent machine. Apologies for not making it to all the great screenings that went on. What a blast of a September though. Thank you, thank you, thank you to everyone who came out, showed films, sold tickets, tore tickets, promoted events, served food and drinks, or tidied up, you own it! We’re so grateful that Zeus did not piss on us during Big Trouble, Oldboy or Metropolis. However you feel about Fritz Lang (has anyone checked recently to see whether his head is missing too? ), the screening of Metropolis at Cobden Chambers was simply magical. It made our eyes very happy, almost as happy as Jodorowsky’s latest masterpiece. Here’s hoping that Dance of Reality gets a longer run somewhere in Nottingham, so that anyone unable to snag a ticket for this, gets a chance to see one of the best films made in recent years. Bad Boy Bubby was let loose all over again and gave us an extra special night out at the beautiful Savoy. We were treated to The Wanderers on glorious 35mm print, oh the magic of prints (thank you Noel & Leigh for your projection dedication), a Bloody Moon and …er, a Bloody Moon …whoah! However, our Scalarama showstopper was crowned with Ken Russell’s impressive member in Lisztomania. If you missed it, you really missed out. 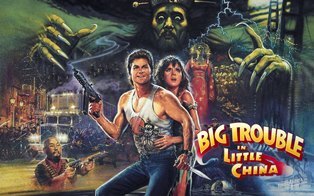 The Film Exchange in association with Bees Make Honey and Phase Pictures, were super chuffed to present an outdoor screening of the film that has EVERYTHING (except robots) Big Trouble in Little China. 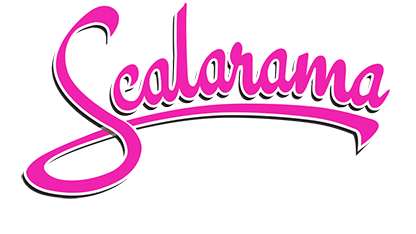 Enormous thanks to everyone who joined us in celebrating 2015’s Scalarama Festival pork chop style. Delicious tummy goodness came courtesy of D’s Pop-Up Kitchen and the Nice Lolly Company. Projection skills and equipment was courtesy Vent Media, Noel and Leigh from Phase Pictures. The amazing Lion dance was performed by the International Taijiquan and Shaolin Wushu Association Lion Dancers. Thank you; Kino Klubb, Music Exchange, Amy B, Fuz, COB, Bees Make Honey and everyone who helped us transform Cobden Chambers into a mini Chinatown for the evening. We hope that the lion didn’t make too much of a mess. We finally crawled out of winter hibernation. The Film Exchange pop up shop had a grand afternoon amongst the stalls that frequented Sneinton Market Place, as part of Nottingham Creative Fringe. 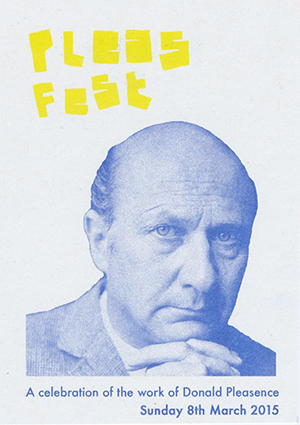 Kino Klubb outdid themselves in organising Pleas Fest, a celebration of the films of Donald Pleasence. The fantastic programme included Polanski’s Cul-de-sac, the astounding British Horror Deathline and FX favourite THX1138. Coupled with some great hospitality, excellent company and a Blofeld cat for every lap. Sundays don’t get much better. A huge thank you to the front of house and projection team at The Quad in Derby for making us so welcome. Also huge thank yous for showing a print of Terry Gilliam’s legendary Brazil. What a beautiful Christmas feast for the senses.